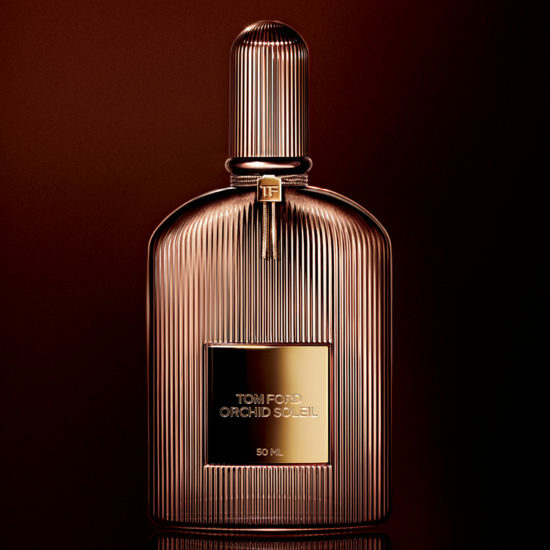 Tom Ford‘s Orchid Soleil is meant to be a new sibling to his popular Black Orchid and Velvet Orchid series of fragrances, but it doesn’t feel like it to me. The choice of the word “Soleil” in the new fragrance’s title is no mere coincidence, in my opinion, because Orchid Soleil has far more in common with Tom Ford’s recent Soleil Blanc for much of the first half of its life than anything redolent of Black Orchid. There is a token nod to the latter when a highly modified, toned-down version of its black truffle and chocolate accord appears via “chestnut cream” (or, to be precise, patchouli vanilla) late in Orchid Soleil’s development, but the connection between the two fragrances is attenuated. If that’s the reason why you’re interested in Orchid Soleil, you’d do better to lower your expectations, if not put it out of your mind entirely. Actually, I don’t think you should have high expectations for Orchid Soleil at all.